Rea Winter | Run S.M.A.R.T. 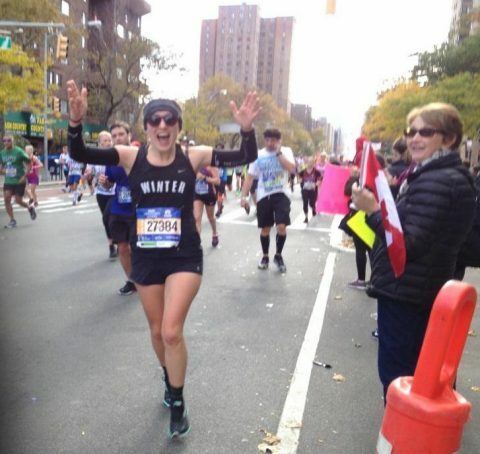 Rea Winter shares her experience at the New York City Marathon. She stuck to her plan and got a huge new PR! Improving is always fun but the biggest difference in following a custom plan versus a generic plan is how you feel during and how well you recover following the race. First, I had a 32-minute improvement on last years New York City Marathon time (trained following a basic low mileage training plan with no variety in paces, etc). Second, I ran an even split race (thought this one was impossible!) and finished SO strong, I could hardly believe my legs as it was happening! Finally, though I am not a very fast runner, and still new to the sport, my finishing time clocked in 4:05:35 which was about 1-minute faster than my predicted time on the training plan! I felt great during the race, as well as immediately after and the days following.